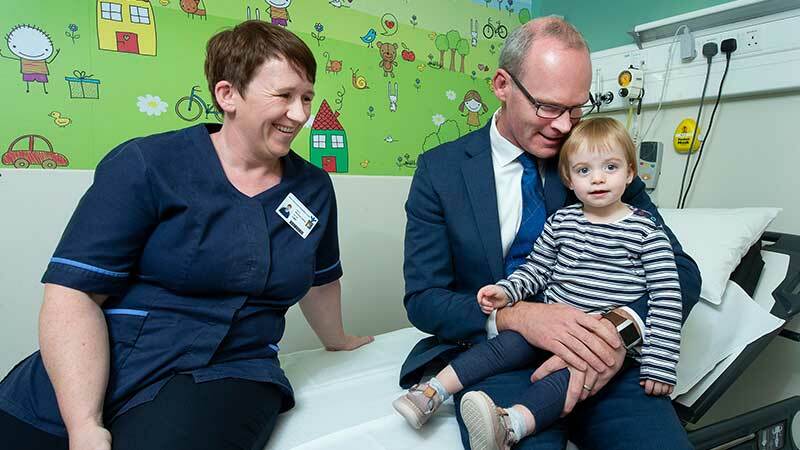 An Tánaiste Mr. Simon Coveney T.D has officially opened an extension to the Radiology Department and the new Paediatric Assessment Unit at the Bon Secours Hospital Cork. Opening the radiology extension, Mr. Coveney said, ‘’The additional Radiology capacity for patients who require various types of scans is very welcome and will be of great assistance to GPs. 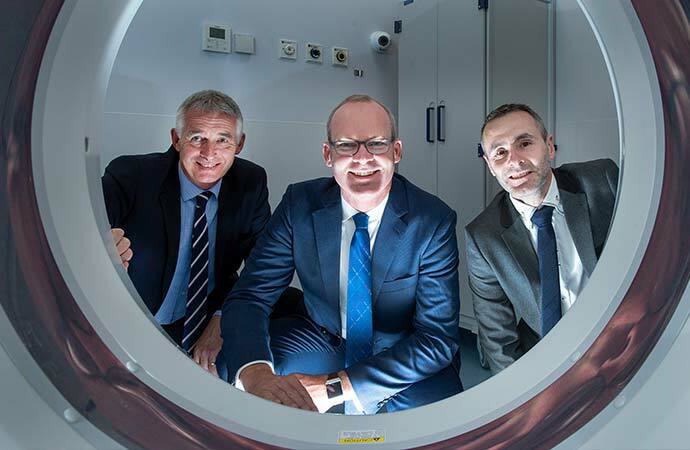 Harry Canning Hospital Manager, An Tanaiste Simon Coveney and Ciaran Walsh Radiology Manager at the opening of the new ‘state of the art’ Radiology service at Bon Secours Hospital Cork. 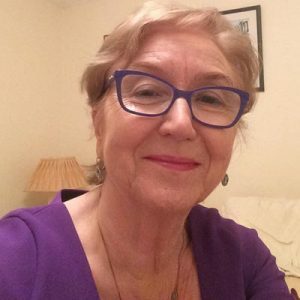 Picture: Gerard Mccarthy. Mr. Harry Canning said, “We expect that the Paediatric Assessment Unit will grow by 10% per annum over the coming years. To support the expansion of the Paediatric service additional specialist staff as in Consultants and Nursing staff in particular have joined the hospital.’’ The Paediatric Assessment Unit is open to children (28 days to 16 years) five days a week, Monday to Friday, 8am to 6pm. Attendance is by way of GP referral. Over 800 children have been treated in the Unit in the past number of months with those requiring a hospital bed admitted swiftly. Bons Secours Hospital Cork is investing €77m in a major expansion that will include the development of radiotherapy to support Cancer services, 81 single rooms, additional operating theatres and critical care facilities. The 6-storey development commenced in 2016 with opening planned summer 2019. The expansion of the hospital and the development of services will bring 75 new clinical jobs at the hospital.